"At TRG, we work hard so we can play hard. The culture here encourages everyone to love what they're doing." 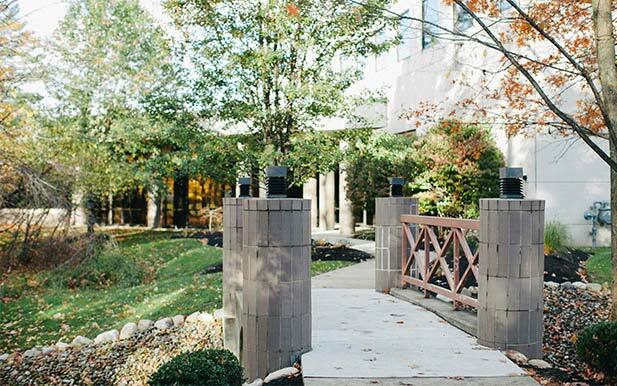 Nestled among wetlands on the Western end of Westlake, TRG’s workspace is truly one of a kind. 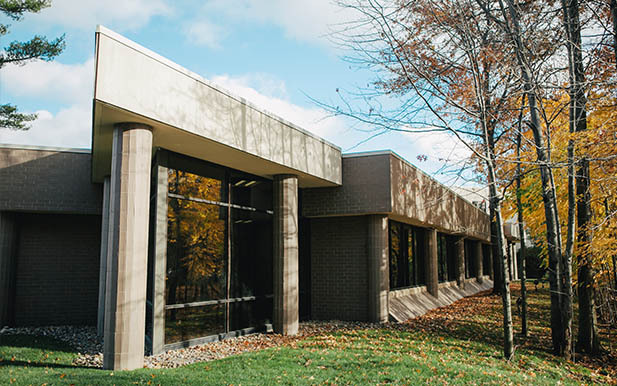 Once you pass through the trees and cross the footbridge to our front door, you’ll immediately be greeted by a “life size” Yoda figure, who tirelessly guards our server room from unauthorized access (and Sith Lords, of course). Our quirky office decorations are one of the most distinctive features of our workspace. A colossal pterodactyl hovers over our help desk team members, while an 8-foot Sasquatch looks on from his vantage point. At TRG, we strive to provide a fantastic workspace for our team members. On lunch breaks you’ll often find employees playing basketball or volleyball on our full-length indoor sport court. We also offer a golf simulator with massive high-definition projection screen with 85 signature golf courses and a full synthetic golf turf floor so our team members can practice their swings anytime, rain or shine. After work employees are encouraged to make their way to our onsite yoga studio where we bring in a yoga teacher twice a week to help employees de-stress. We also bring in a certified CrossFit trainer bi-weekly to help employees train in our spacious on-site gym. Don’t see an open position that’s a match for your skill set and background? No problem! We’re always on the lookout for top performers who are interested in joining our team. Whether you might want to work at TRG today, tomorrow, or at some point in the future, it’s easy to join our talent community! Once you join, we’ll keep your information on file and use it to match you to job opportunities if and when they become available. TRG is committed to sustainability and reducing our environmental impact. We work with our extensive network of business partners to access the value of obsolete equipment that would otherwise end up in landfills. When it comes time to dispose of equipment TRG’s EarthSafe program ensures hazardous waste is responsibly handled in environmental friendly conditions.